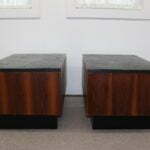 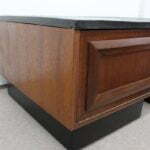 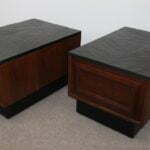 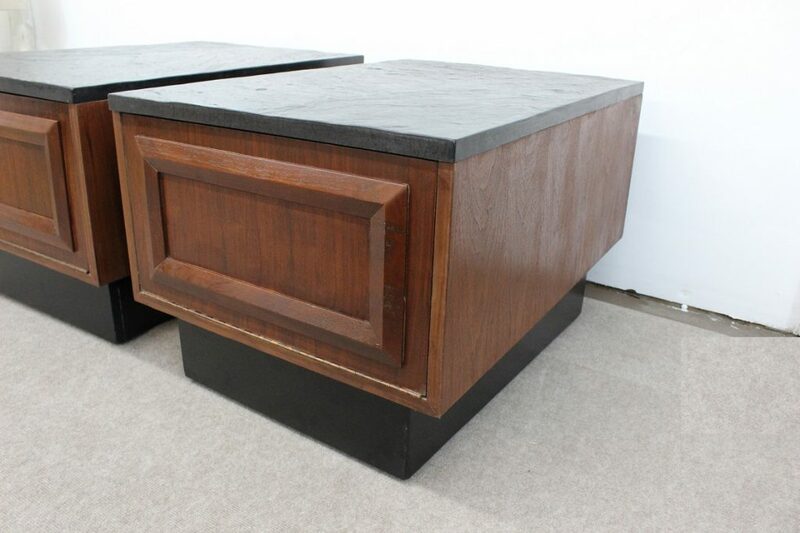 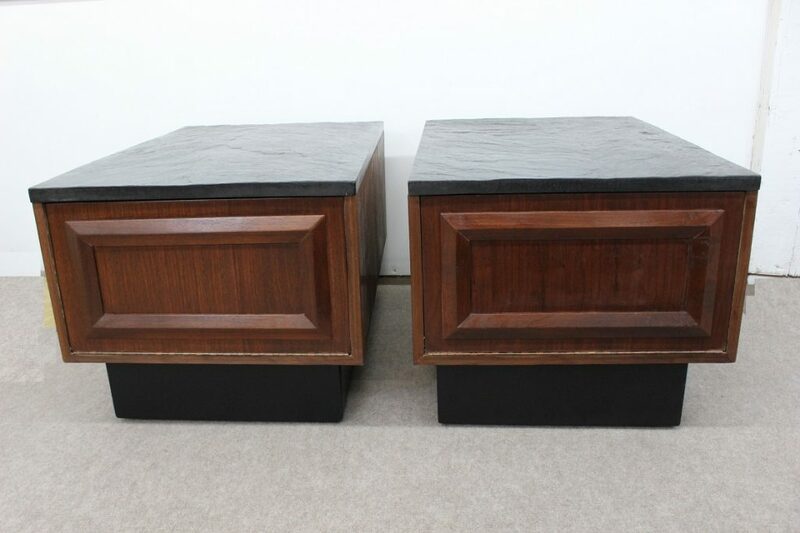 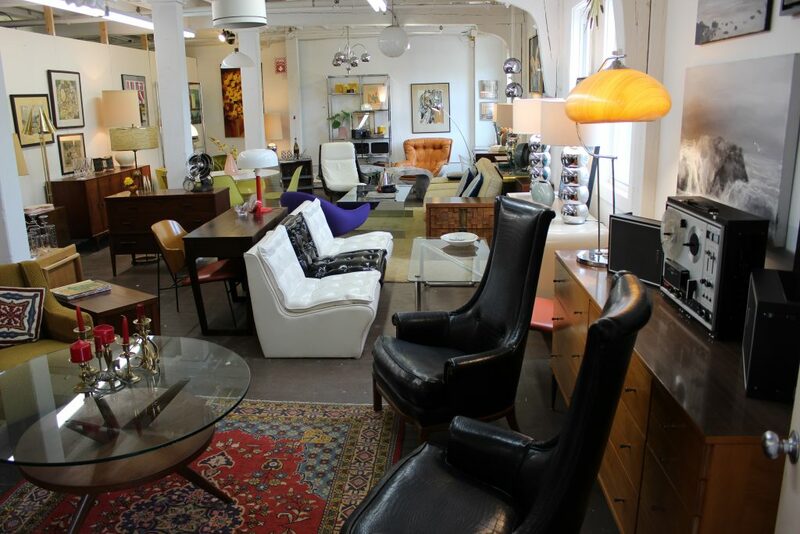 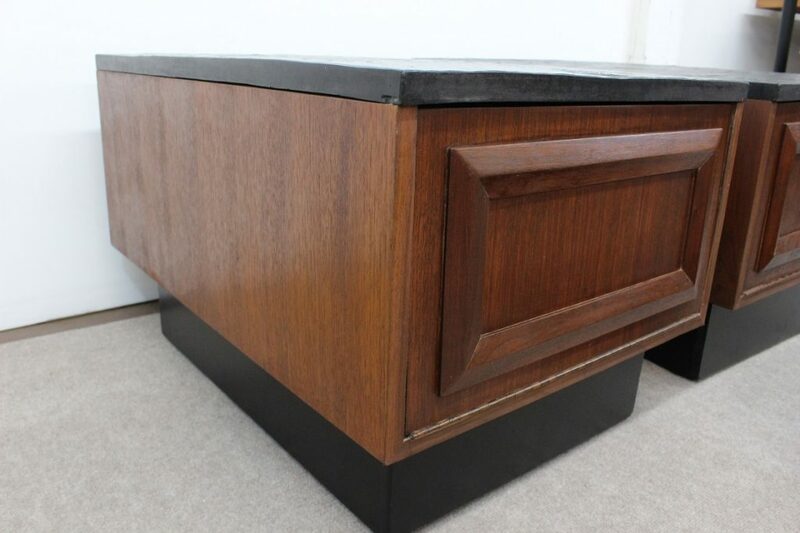 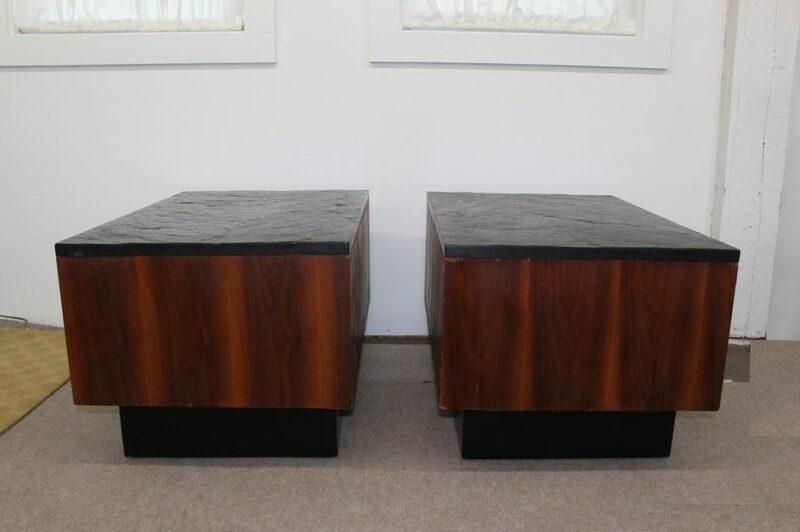 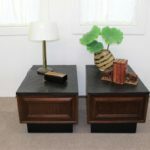 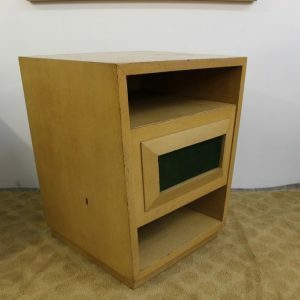 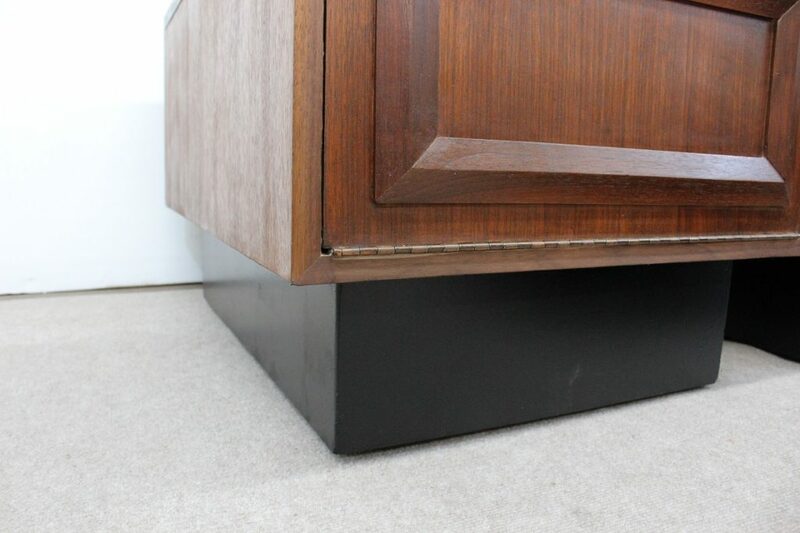 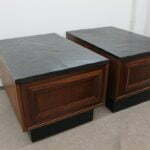 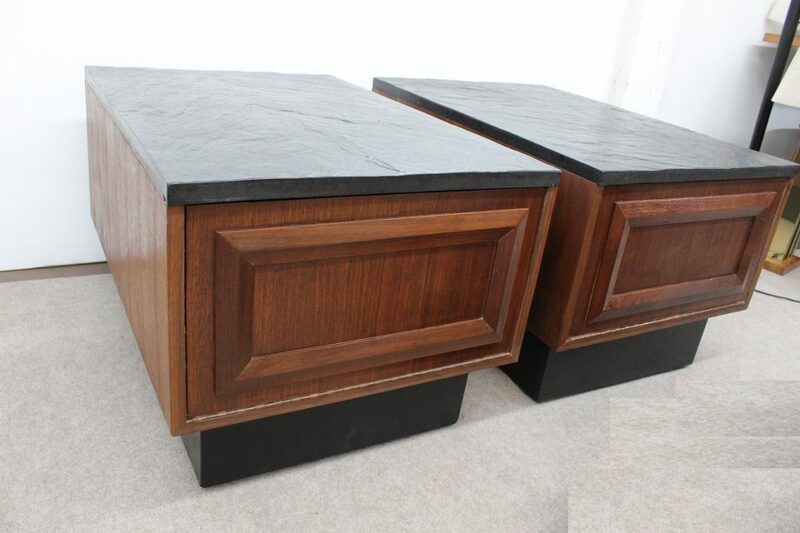 Attractive and solid this Mid Century Modern pair of end tables, comes to you made of a walnut box and a black base. 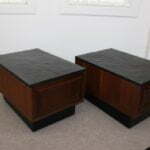 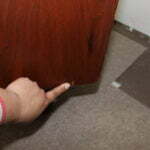 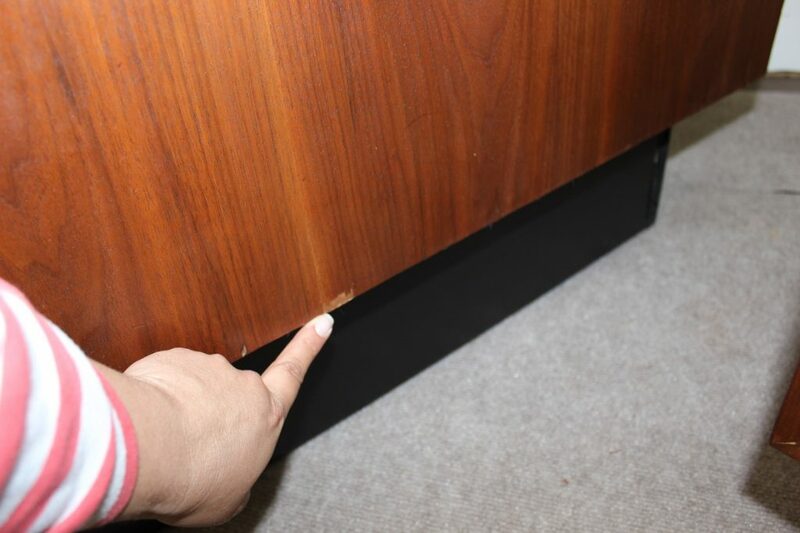 The bodies are made of a wood, they have a very big storage compartment with a touch latch door. 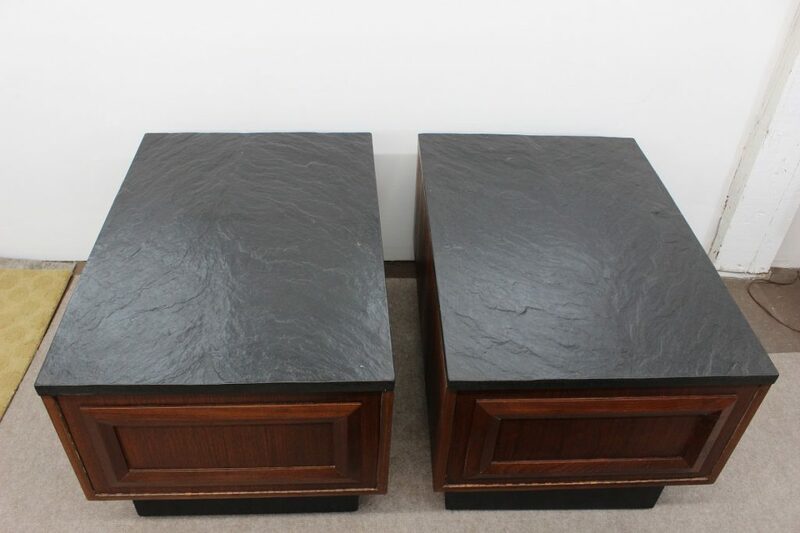 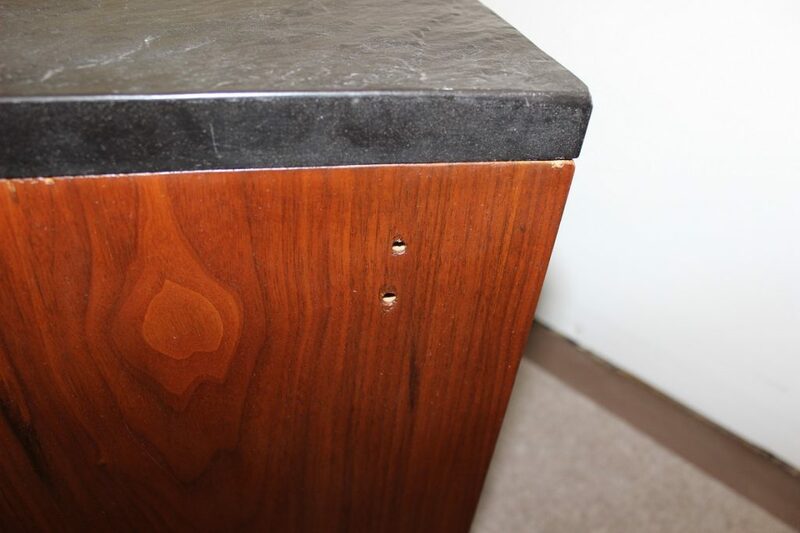 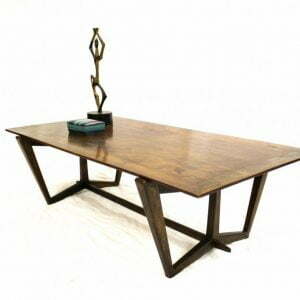 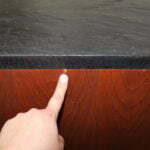 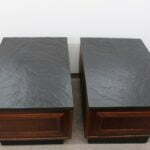 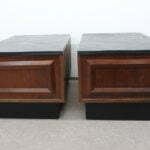 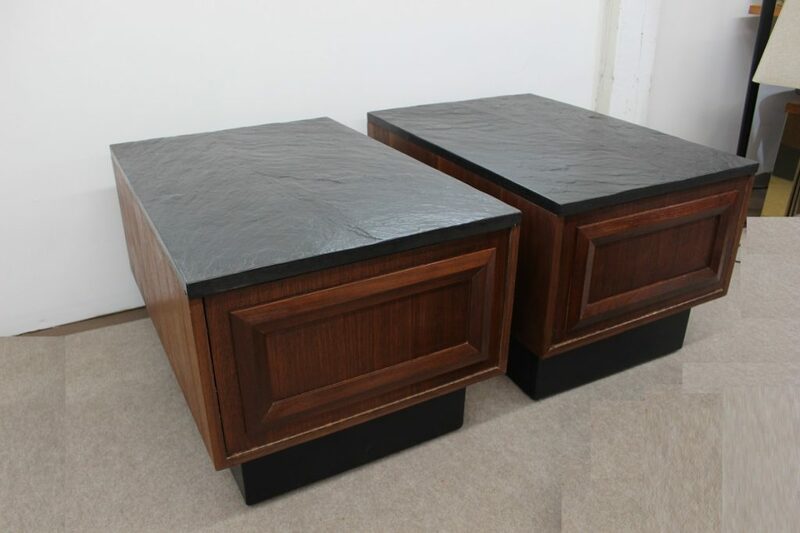 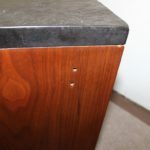 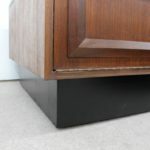 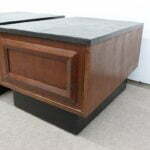 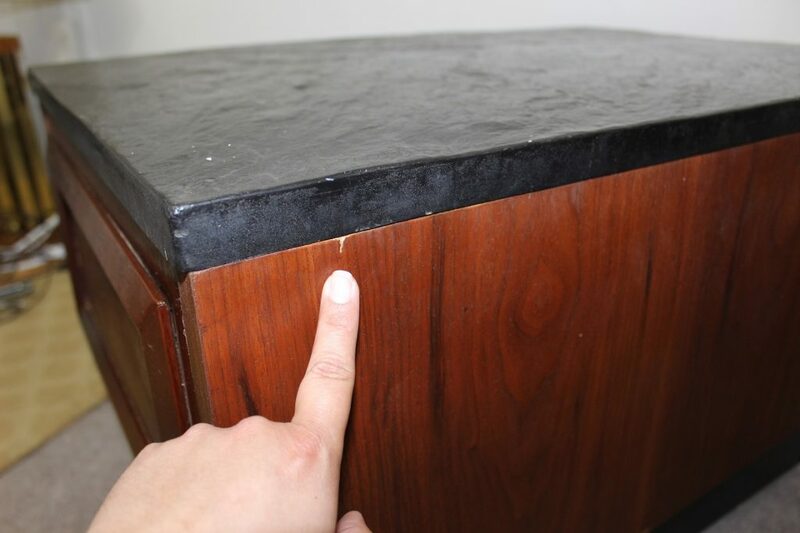 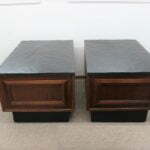 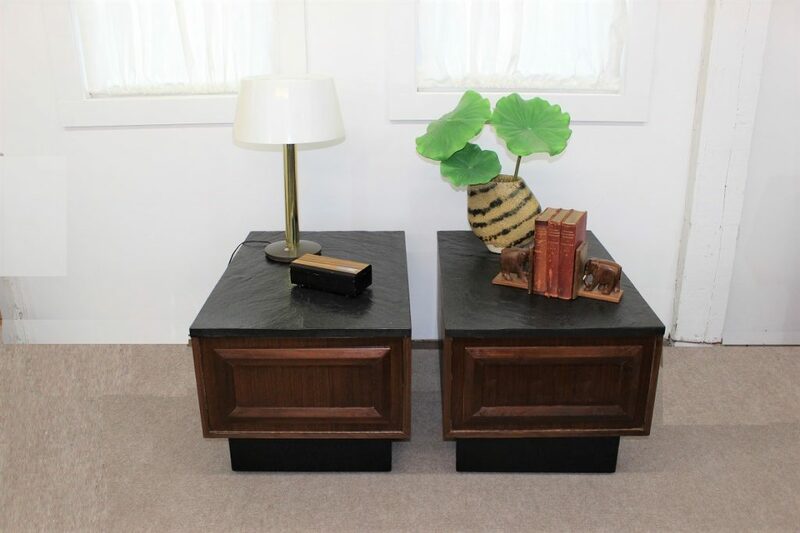 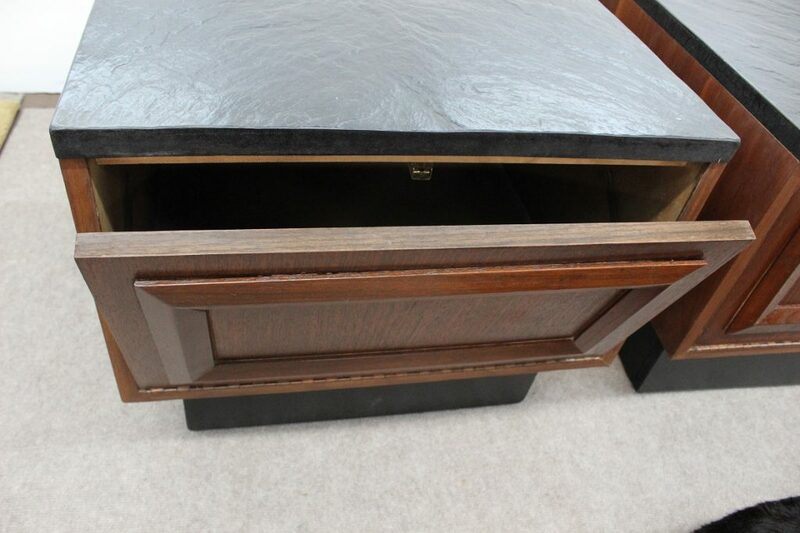 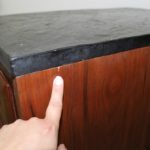 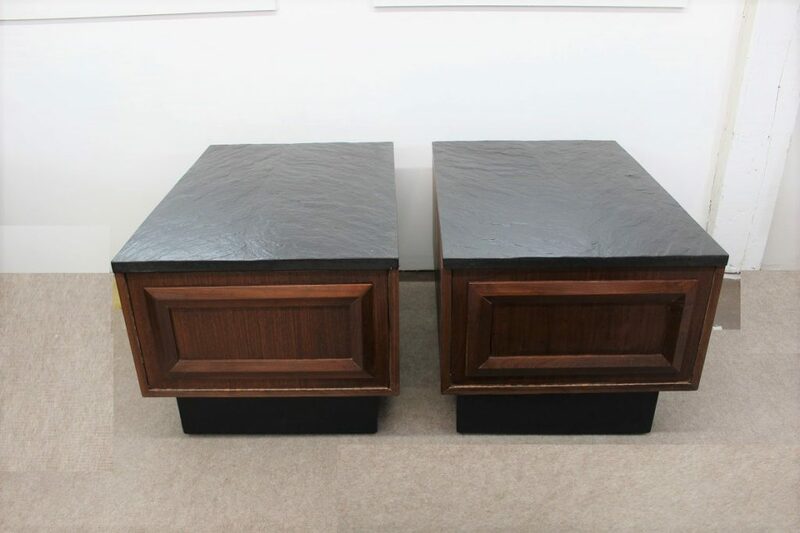 Heavy pieces of black granite look-alike molded concrete top these beautiful tables. 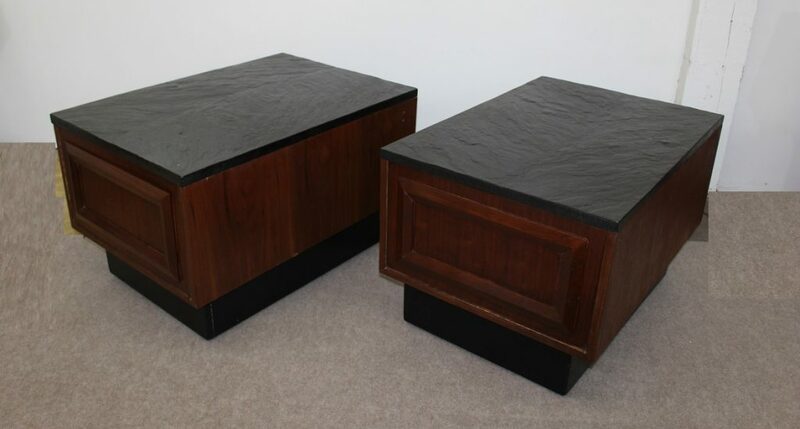 This set is attributed to the designer Adrian Pearsall even though it is not signed it has all the characteristics of his designs. 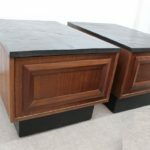 It is in beautiful condition, minor chips, marks and some repairs to the bodies and bases the tops are in excellent condition. 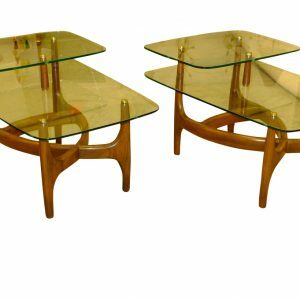 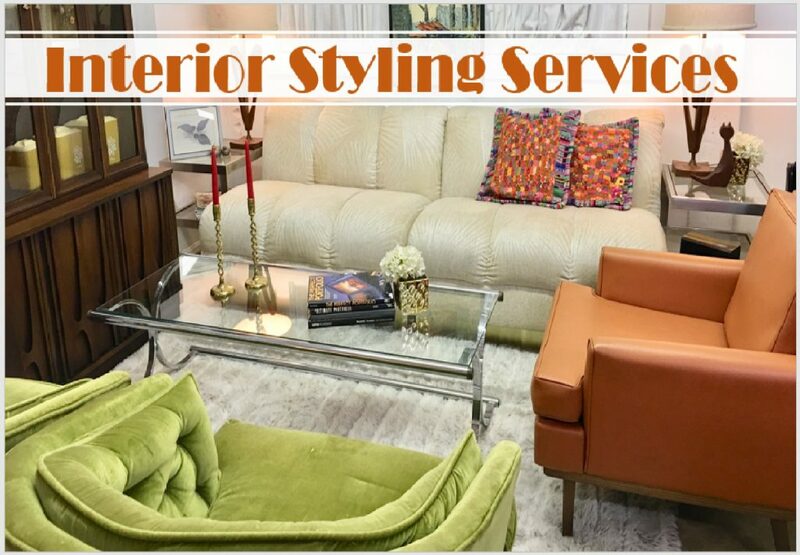 Each of them has a pair of small holes on the back, they are on opposite sides as if they were attached to a sofa at some point. 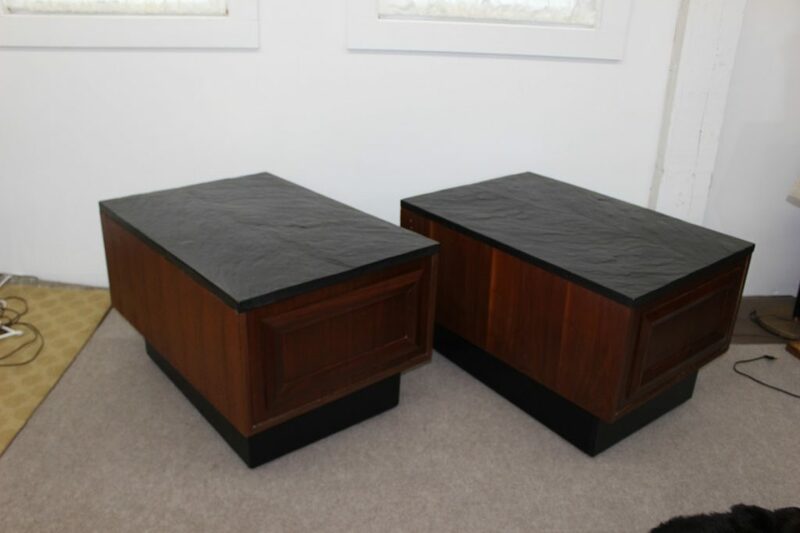 But they look amazing as free standing tables. 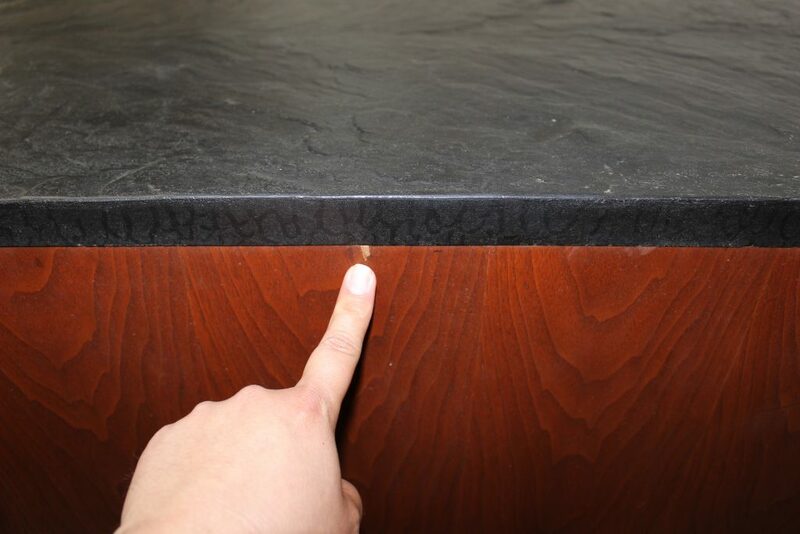 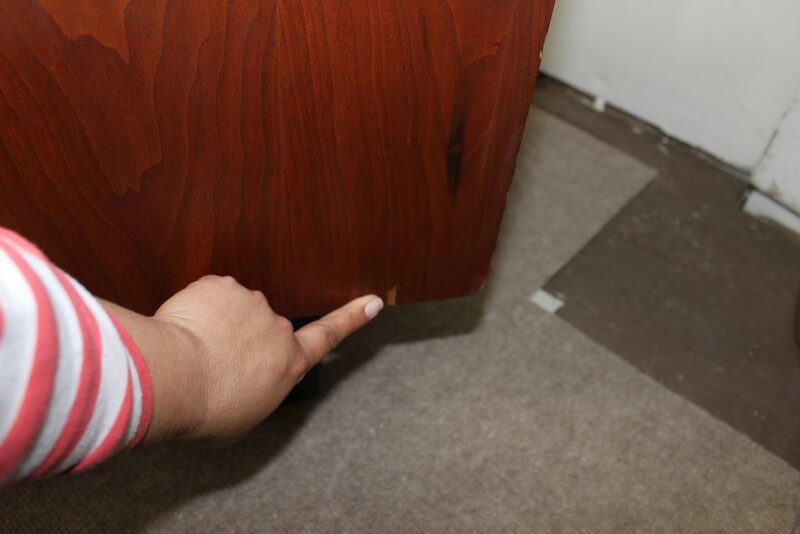 It measures 32″ deep by 22″ wide and 19″ long. 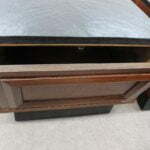 Please look at the pictures we consider pictures as part of the description.